Video conferencing is a mode of communication between two or more physical locations that is done through the transmission of both audio and video signals. SWIFT Networks delivers the most comprehensive and reliable solution for video conferencing systems in the region including HD video conferencing. We offer a total solution including a full portfolio of infrastructure products, high quality bandwidth over various channels and an excellent video conferencing management platform. Our service caters to those starting out with two video conferencing systems as well as those implementing video-based conferencing across the entire organization. SWIFT Networks will offer you the best solutions to scale with your business demands. Our product line offers a diverse range of options, from desktop applications to boardroom deployments. For companies that own their own equipment SWIFT Networks will provide, dedicated video network connectivity, exchange point (Local & International), help desk, scheduling, live operator, capacity management, and warranty and service configuration. For enterprises starting out with video conferencing, SWIFT Networks will provide a pay-per-use solution, from a Host Platform on shared basis. SWIFT Networks provides end points, video network connectivity, exchange point (Local & International), help desk, scheduling, live operator, capacity management, and warranty and service configuration. 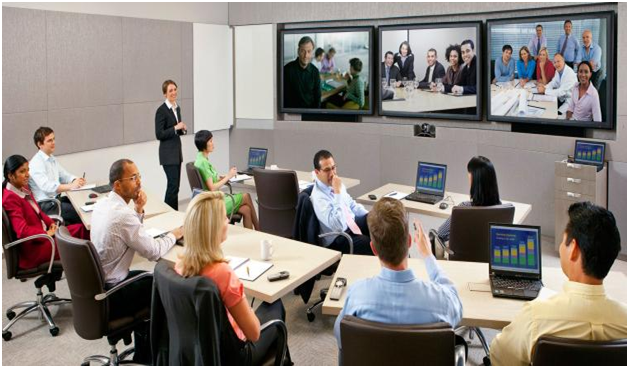 For enterprises with frequent video conference users, who require a dedicated platform SWIFT Networks will offer unlimited use conferencing for a fixed monthly fee; the Video Conference infrastructure is located in SWIFT Networks Data Centre, and services include end points, video network connectivity, exchange point (Local & International), help desk, scheduling, live operator, capacity management, and warranty and service configuration.